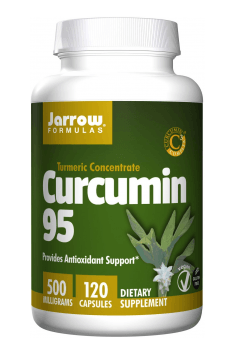 Curcumin 95 500mg 120 caps. For therapeutic reasons, it is recommended to take 2-3 g of curcuma a day. Research carried our until now proved that curcuma used for a few months at the daily dose of 4-8 g had a positive influence on health and did not cause any side effects. In order to increase the assimilability of curcuma it should be combined with black pepper, quercetin and fat (e.g. coconut oil, olive oil, avocado).